Chosen for their majestic trumpets, Aurelian Hybrid Lilies will add brilliant color and wonderful fragrance to your garden. 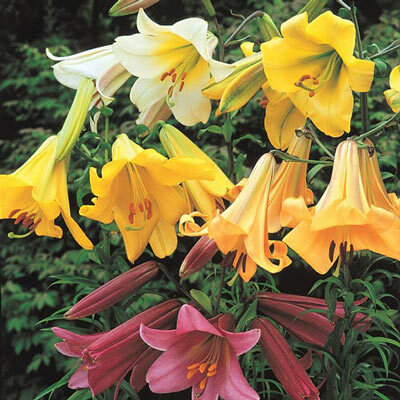 These outstanding varieties produce huge flowers that rise above stately stems reaching heights of 4-6' tall. They're easy to grow and naturalize well. 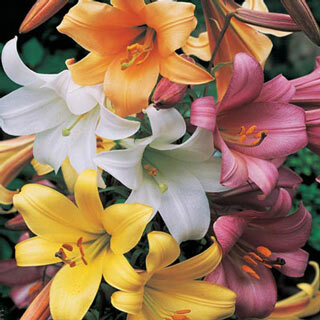 Lilies prosper in well-drained soil. 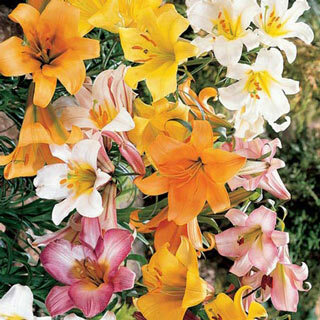 Avoid damp, moist spots.